The presence of the Himalayas in India has given a plethora of places that are worth a visit. 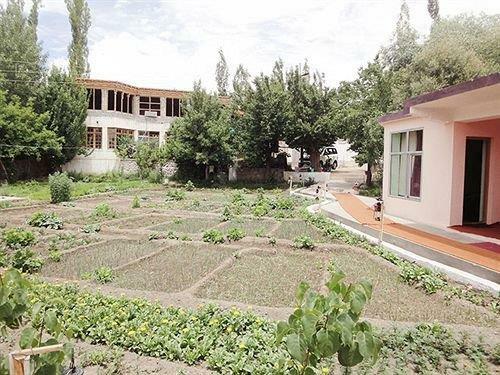 Its pristine mountain, high-altitude lakes, the source of many important rivers, and above all, the surrounding nature, attracts many travelers from all over the world. The Himalayas which lies in the northern part of India, acts as a strategic natural borderline between India and China. 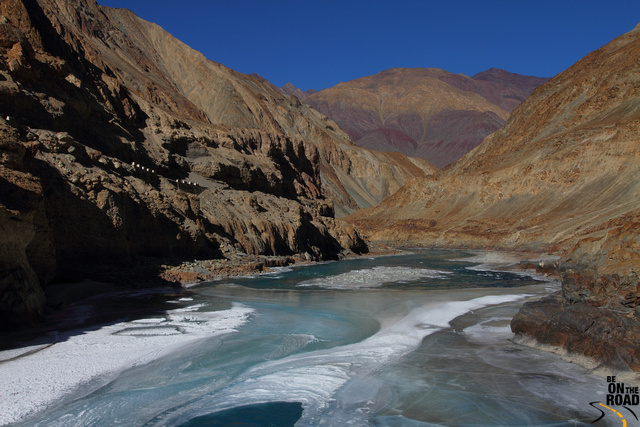 Major rivers like the Ganges , the Indus and the Beas – all have their source from different Himalayan glaciers. 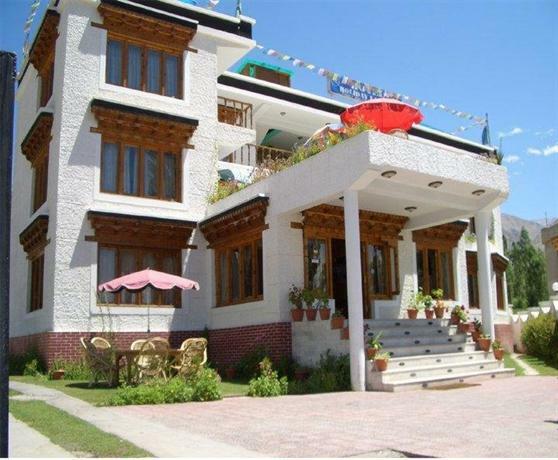 Most of the foothills of the Himalayan range are nestled with small villages. These inhabitants are mostly Tibetan in their origin. While all these locations are remote, still it does not deter the visitors in any way. Per say, the challenging Himalayan terrain and its pristine beauty also attract a number of trekkers to visit places like the Zanskar Valley from all over the world. The Himalayas offer many trekking routes. While some are fairly easy, some are also tough and they can only be accomplished by an experienced trekker. However, of all the trekking routes that you can avail, Zanskar River and the Zanskar Waterfall trek is probably one of the most enduring and adventurous routes that you can ever undertake in the Himalayas. 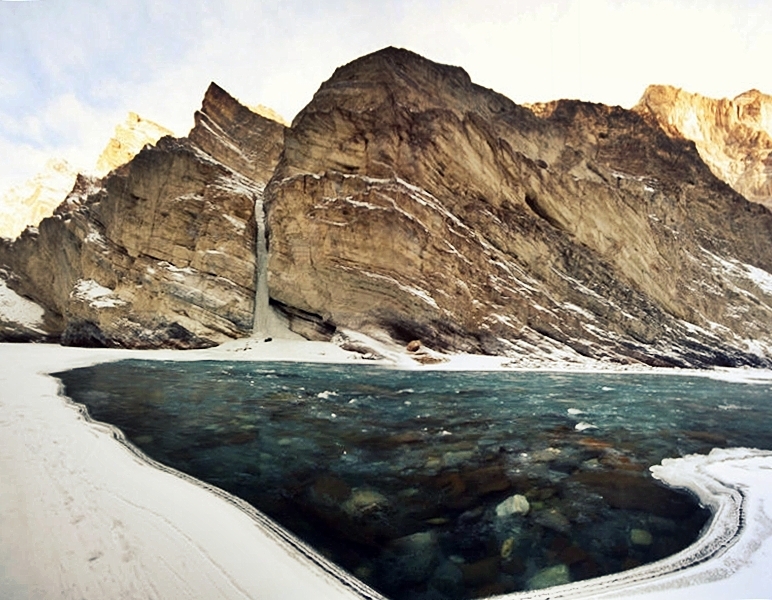 Zanskar River is a tributary of the Indus River and flows towards the north. 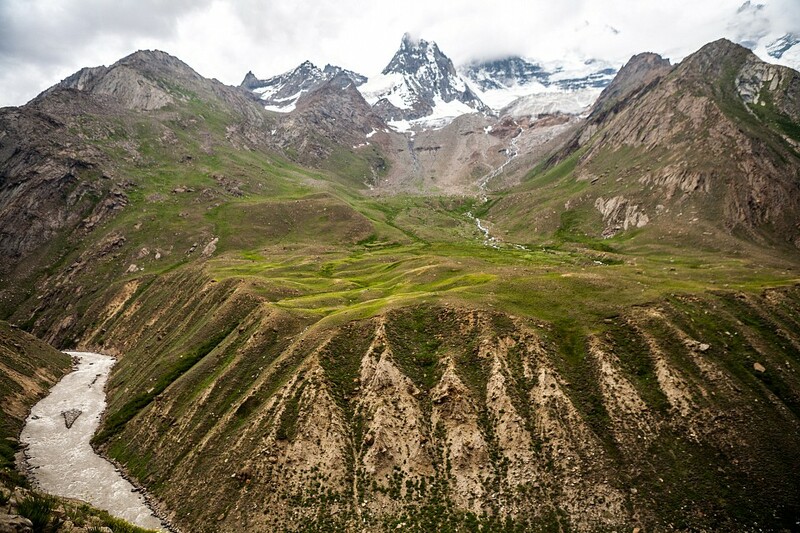 In the upper region, Zanskar is divided in two streams, Doda and Kargyag. The source of Doda is from Pensi-la which lies at an altitude of around 14,400 feet. The river runs through the mountains and moves further south-east along the Zanskar Valley to Padum, the capital city of Zanskar. The Karyag River is formed from two main tributaries - one has its source near Shingo-La and Tasrap River, the other one originates from Baralacha-La. As these two river flows, it finally unites near Purne village forming Lungnak River. 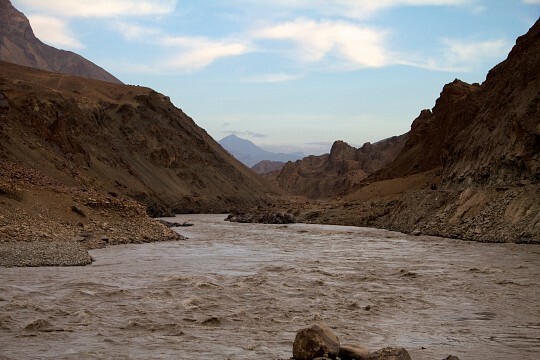 This river moves further north-west to the central valley of Zanskar and unites with the Dodi to finally form the Zanskar River. The river then flows north-east through the Zanskar George until it finally joins the river Indus in Ladakh . 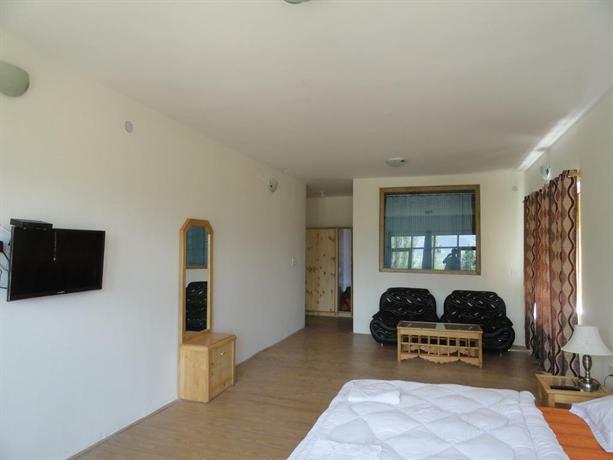 During the summer season, the northern part of the Zanskar George is ideal for river rafting. But during the winter months, when the river gets completely frozen it becomes a paradise for trekkers who cherish walking over this frozen stream. 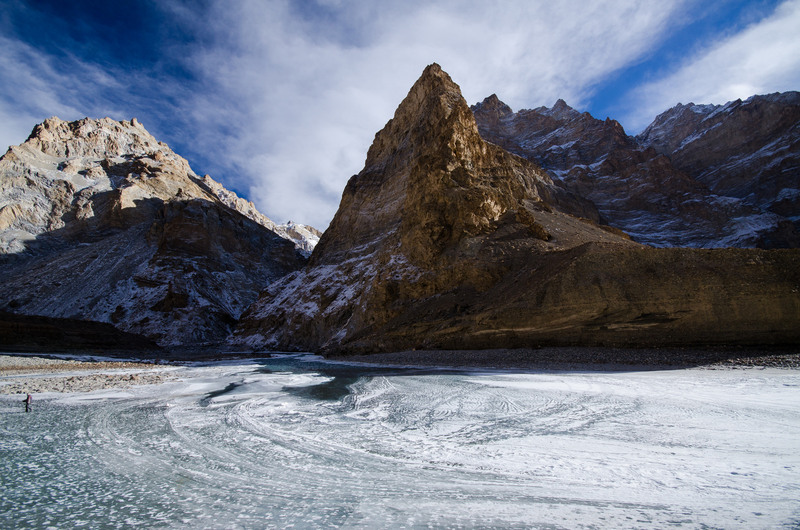 The trek over the Zanskar River and its frozen waterfalls (also known as Chadar Trek) is challenging, and is so only recommended for the experienced tourists. 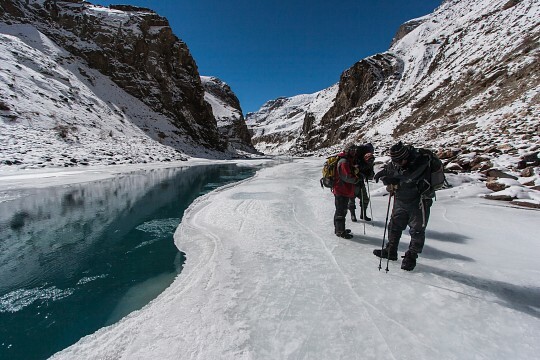 It should be made clear that Zanskar River is big and has high water currents flowing in its chill cold waters, which may prove fatal to the trekkers. At times you may need to walk along the river on a narrow strip, keeping the canyon by your side and if you lose your balance you may end up in the freezing water and also easily get swept away. The best time for the trekking in these regions is from the middle of January till the first week of March. Temperatures in the morning during this time of the year, ranges from 23 °F to 14 °F and -13 °F to -31 °F in the night, thus making the journey at times, completely inhospitable. The Zanskar river and waterfall trek take around eight days, but it is advisable to keep a buffer day in hand in case of any adverse situations that may befall upon the trekkers on their way. The only way to reach Ladakh during winter is via air. 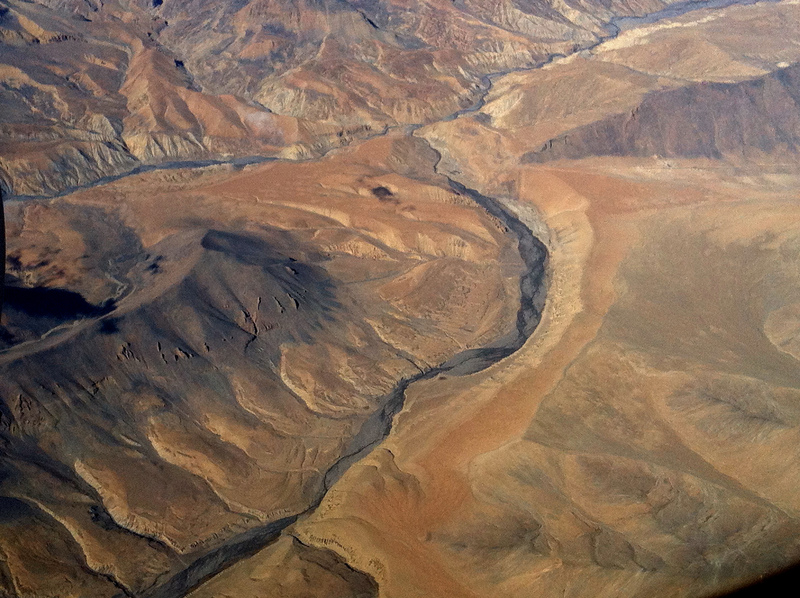 There are regular flight services from Delhi to Ladakh. However, due to high altitude and occasional inclement weather, flight services in this sectors often gets delayed. 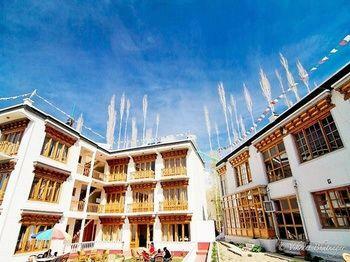 Day 1: Reach Ladakh and stay for a day to acclimatize. Day 2: From Ladakh you need to take a jeep or private bus to reach Tilat Sumdo and camp there overnight. Day 3: From Tilat Sumdo the actual trek begins. The next destination is Shingra Koma, located at a distance of around 6 miles and usually takes around six hours under normal weather windows. Day 4: The next day, the trekkers’ will reach a place named Tibb, which is around 9 miles from Shingra Koma and takes around seven to eight hours. Day 5: On this day the travelers trek twelve kilometers from Tibb to Nerak which takes around 7 hours (approx.). Day 6: On this day the trekkers return back from Nerak to Tibb which also takes another seven hours. Day 7: On the seventh day the trekkers reach Shingra Koma from Tibb. Day 8: Finally on the last day of this expedition the trekkers reach Tilat Sumdo from Shingra Koma and get back to Ladakh by car. 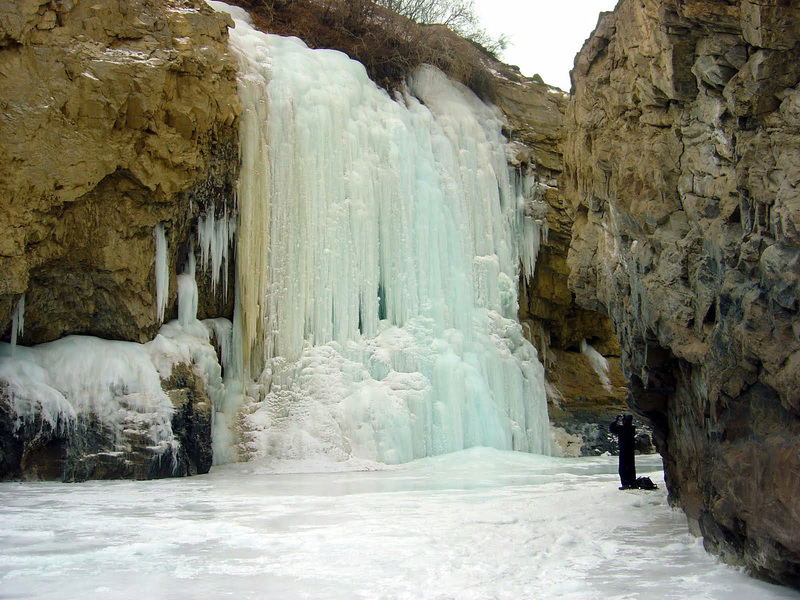 While the experience of trekking on the frozen Zanskar River and its petrified waterfalls is unique and scintillating, you should consider taking all necessary preparations before you embark on this journey. The severe cold weather may often cripple you and care should be taken for undertaking maximum preparation to beat the spine-chilling cold. Furthermore, there are no such safe places for shelter at night on this trek and the only option to spend the night-is either in a tent or inside a cave. It is important to note as the entire route of the trek is uninhabited and you should carry adequate ration. For walking, you don’t need any specialized boots or crampons. Descent trekking shoes will be suitable for this trek. The highest altitude that you face in the entire trek route is at Nerak (10,900 feet) else the altitude is below that of Ladakh (9,800 feet). 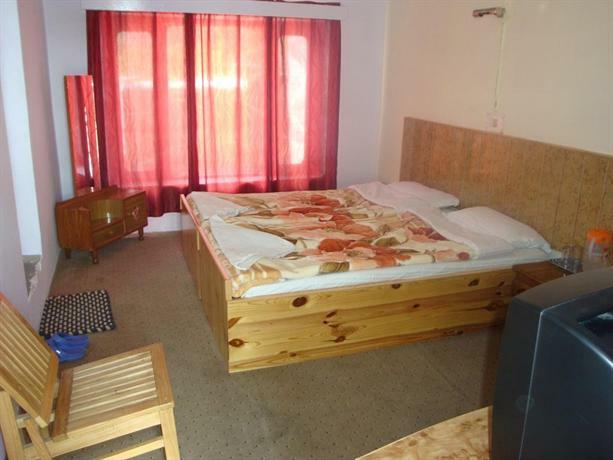 So if you are well acclimatized in Ladakh, the entire trip is fairly safe. It is highly advisable not to attain the trek alone. Although the ice over the river is generally thick but at times it also becomes thin, and so if you ever fail to identify the spot and walk over it, there can be an imminent danger of frostbite or drowning. Owing to the popularity of the route, many renowned travel agents in India conduct this tour. It’s always a pragmatic idea to travel along with them to ensure safety and security while enjoying the spectral beauty of this ice covered landforms that will remain an experience to cherish forever. When you walk over the snow, ensure to check its condition beforehand. Walking over a fresh layer of snow is easier compared to hiking over old, shiny, hardened snow walking tracks. Once you step on hard ice, the best idea to tackle such situation is to walk like a penguin – do not lift your feet too much off the ground. Ensure to carry a proper sleeping bag to keep you warm during the nights. The trekker who joins the group often organizes bonfire and it is probably the best way to get some respite from the freezing cold. On your trail, you may also encounter pugmarks of snow leopards. They are elusive cats and generally stay away from human as they roam freely in this deserted landscape. 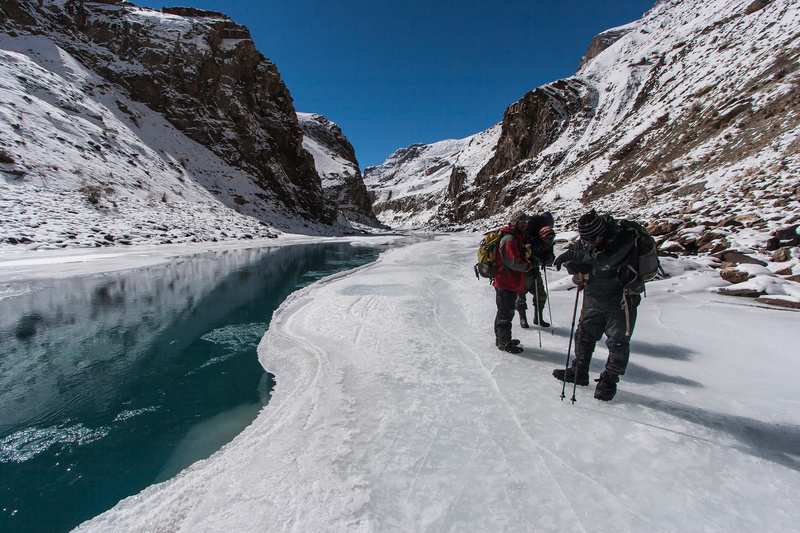 Chadar trek is one of the most astounding journeys that you can undertake if you plan to trek in the Himalayas. The sheer beauty of Ladakh's snow-laden mountain and frozen rivers will make you feel that you have probably landed altogether in some other different planet. A scintillating planet made of rocks, hostile desert forms and ice.